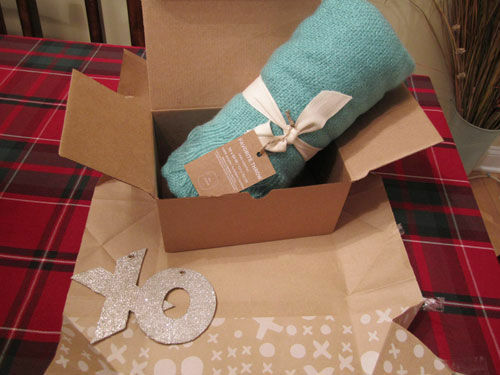 I had to take a picture to document this wrapping. 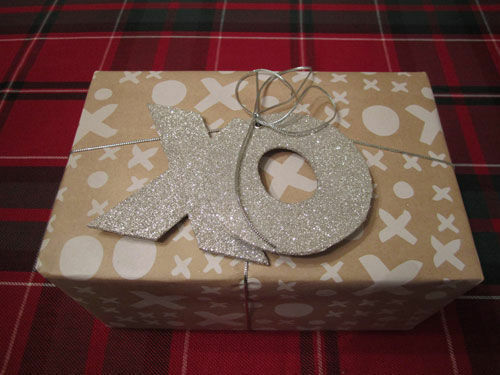 kraft paper + silver ties + silver glittered letters = love! But the fun didn’t stop there. 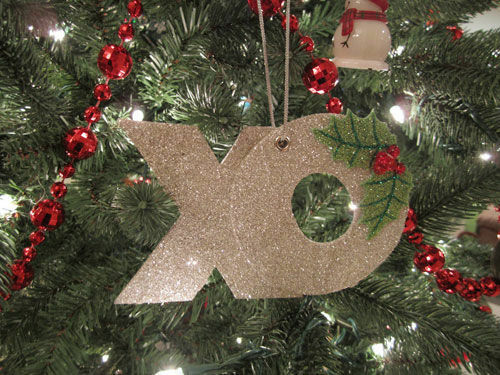 I took the XO letters from the gift wrap, attached them with a few glue dots, added a Jolee’s holly sticker and turned it into this fun ornament for our Christmas tree!